along with the bronzer brush (review) the last time that I was at Walmart. or even better than my Sonia Kashuk Multi Purpose brush (review) and Mac 168 brush (review). 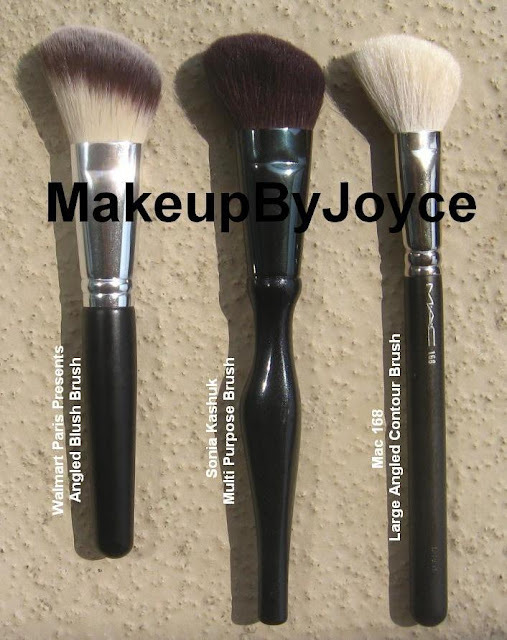 Bottom Line: I recommend using this brush for applying cream blushes or bronzers because it does a great job at dispersing the product evenly onto your cheek area. Also, this brush is a great alternative for someone who's on a tight budget or just starting out with makeup. 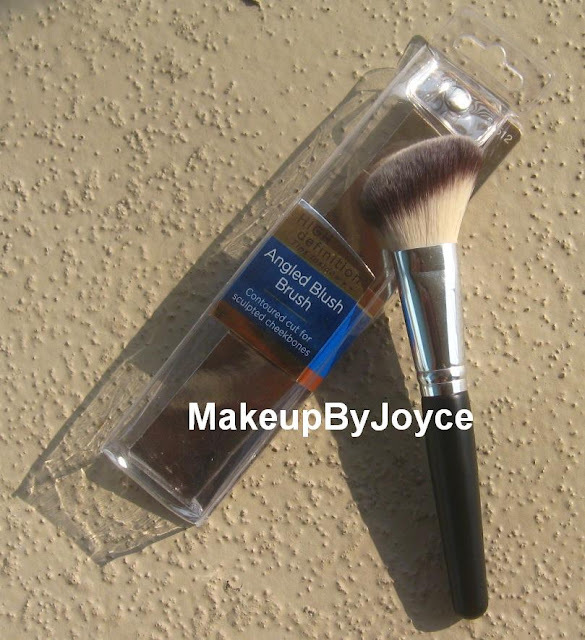 Note: The Walmart Paris Presents High Definition Angled Blush brush is made of synthetic material and measures 6.25 inches. 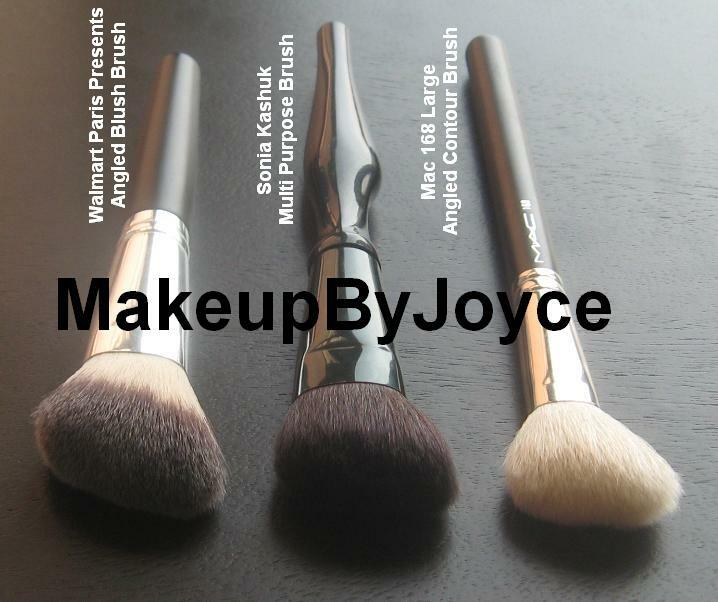 It is denser than both the Sonia Kashuk Multi Purpose brush and Mac 168 brush. The Mac 168 is ideal for applying "regular" (not sheer or highly pigmented) powder products, while the Sonia Kashuk Multi Purpose brush is ideal for applying sheer powder products. 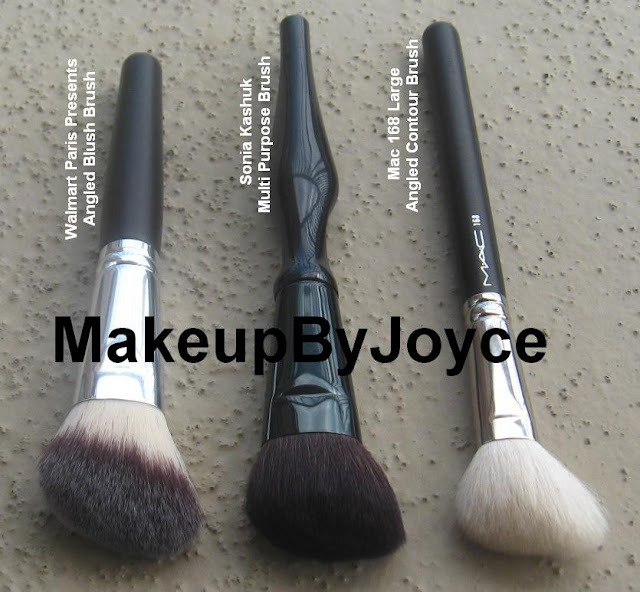 Have you tried any of these angled brushes? What's your favorite angled brush? 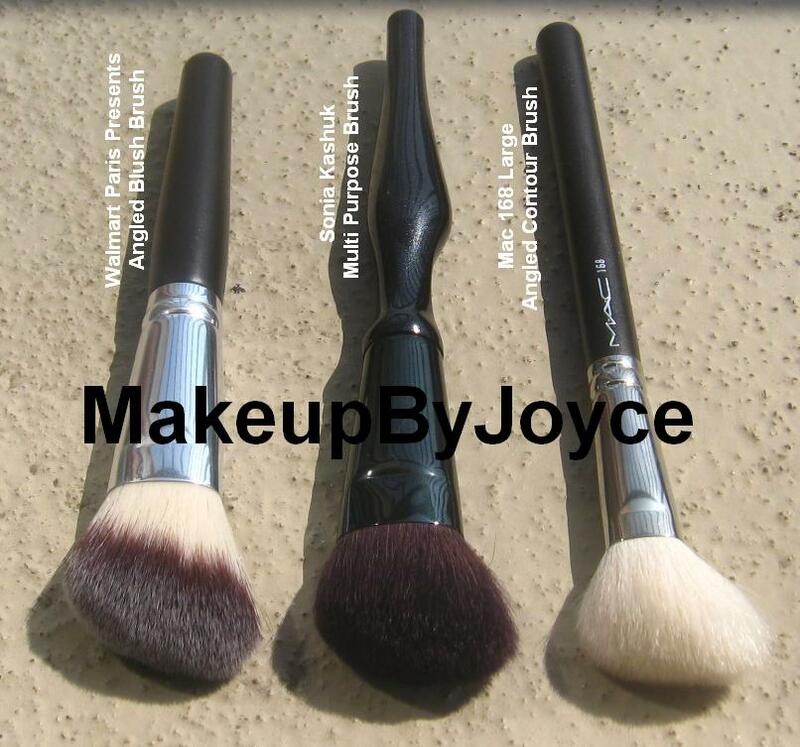 and let me know how the brushes worked out for you.please!